You are lamenting the "low sinking" of a "once proud" nation. Please tell me, when exactly was that "nation" proud and what was it so proud of? And here is the least sarcastic question of all: If the people you mistakenly call "Palestinians" are anything but generic Arabs collected from all over -- or thrown out of -- the Arab world, if they really have a genuine ethnic identity that gives them right for self-determination, why did they never try to become independent until Arabs suffered their devastating defeat in the Six Day War? I hope you avoid the temptation to trace the modern day "Palestinians" to the Biblical Philistines: substituting etymology for history won't work here. The truth should be obvious to everyone who wants to know it. 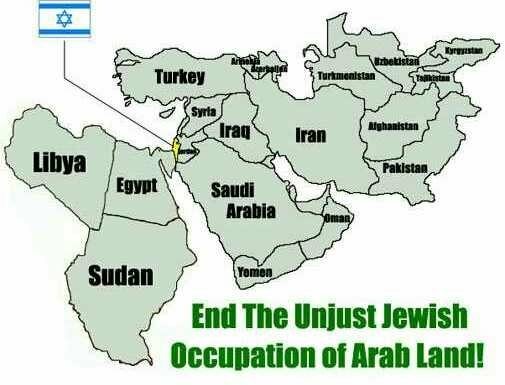 Arab countries have never abandoned the dream of destroying Israel ; they still cherish it today. Having time and again failed to achieve their evil goal with military means, they decided to fight Israel by proxy. For that purpose, they created a terrorist organization, cynically called it "the Palestinian people" and installed it in Gaza , Judea, and Samaria . How else can you explain the refusal by Jordan and Egypt to unconditionally accept back the "West Bank" and Gaza , respectively? The fact is, Arabs populating Gaza, Judea, and Samaria have much less claim to nationhood than that Indian tribe that successfully emerged in Connecticut with the purpose of starting a tax-exempt casino: at least that tribe had a constructive goal that motivated them. The so-called "Palestinians" have only one motivation: the destruction of Israel , and in my book that is not sufficient to consider them a nation" -- or anything else except what they really are: a terrorist organization that will one day be dismantled. In fact, there is only one way to achieve peace in the Middle East . Arab countries must acknowledge and accept their defeat in their war against Israel and, as the losing side should, pay Israel reparations for the more than 50 years of devastation they have visited on it. The most appropriate form of such reparations would be the removal of their terrorist organization from the land of Israel and accepting Israel 's ancient sovereignty over Gaza , Judea, and Samaria. That will mark the end of the Palestinian people. What are you saying again was its beginning?